Minister, this portfolio is a difficult one and I do not envy your job. Transport establish the arteries of the country’s economy and social fabric. One of the main challenges of South Africans is answering the daily questions of: how do I get to work and back home, how do I get to school or university and back, how do I visit friends and family? Especially, how do I do all of this safely, for our roads are inherently unsafe and traveling by train is also a huge risk to body and limb. Suid-Afrika het ‘n holistiese en geintegreerde vervoerstelsel nodig. Die kostes verbonde aan alledaagse vervoer is heeltemal te duur. 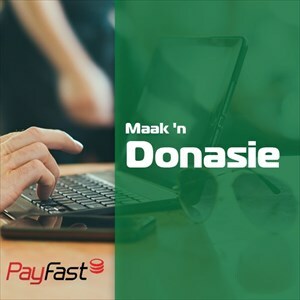 Mense spandeer ‘n te groot deel aan vervoeruitgawes en in sommige gevalle is min geld oor om van te leef. Dit beteken dat die regering ‘n verpligting het om behoorlike vervoer-infrastruktuur te skep in die verband end at die infrakstruktuur geintegreerd moet wees. Daar is egter twee voorvereistes in die verband: 1) Die besluit om infrastruktuur te skep moet rasioneel wees, met ander woorde, dit moet werklik nodig wees; 2) Tweedens, dit moet deur die publiek aanvaar word en regtens korrek hanteer word. Minister, in your Department there are three projects that have little public support and at least one that is also patently unnecessary. Here I refer to the Gauteng e-toll system: It is a prime example of building infrastructure that is unnecessary and that does not have public consent. Here I am referring to the e-toll infrastructure as such. It has now become clear that this system should never have been implemented. The cost for the highway upgrades could have been funded by ensuring savings to the annual irregular spend that has climbed from R30 billion to R60 billion per annum. Even the Gauteng ANC has rejected the e-toll system, an indication of the depth of the illegitimacy of the system. Confirming the illegitimacy is the 70% plus non-compliance with payment of e-toll fees. Currently, SANRAL is mired in litigation with many road users. This is just another waste of taxpayers’ money. Throwing good money after bad money to defend an illegitimate system only serves to enrich the legal fraternity. So many legal mistakes have been made, that SANRAL’s chances of winning looks grim. For instance, no standards for the e-toll instrumentation has to date been established and there is no compliance with the Legal Metrology Act. There is thus no certainty on the correctness of any accounts since the system was switched on. Another system that has failed is AARTO. AARTO is a good idea, but it failed dismally during its test-phase in Gauteng. Road accidents and deaths did not decrease during this test-period. The system is, therefore not ready to be implemented country-wide. The various issues with AARTO was highlighted by two court cases. In Fines4U v RTIA it was found that the representation officers are biased in that they would not adjudicate representations based on procedure. In Fines4U v JMPD was bevind dat die plaaslike regering se polisieringseenheid het die magte en take van die RTIA oorgeneem. Dit was moontlik juis omdat die RTIA nie self bemagtig is om sy take uit te voer nie. AARTO moet dus eers in sy toetsfase werk voordat gedink kan word aan landwye implementering. 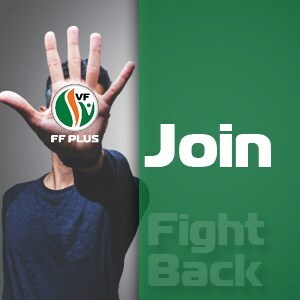 Die alternatief is om eerder terug ter val op die ou Strafprosesreg-stelsel. • Lastly, there is the current problem of many claims that prescribe in the hands of the RAF alluding to the current dysfunctionality of the RAF. Under RABS this problem will increase. Minister, ons stel voor dat u dringende aandag aan die drie kwessies gee ten einde die Departement op ‘n gesonde grondslag te plaas.